TTM NDA services help you better serve the requests of your customers, improve call completions and drive profit by lowering costs and maximizing revenues. Increase profit by choosing TTM NDA services. 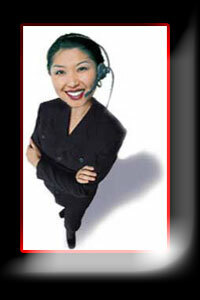 Expand your business through our Agent /Reseller program. TTM NDA services are a part of a comprehensive coin-less service product line that can add revenue, cut costs and deliver significant improvement to your company's bottom line. TTM National Directory Assistance (NDA) services provide your customers with the right number, right now - anywhere in the United States, from any location, 24 hours a day, 365 days a year. This innovative service is a simple, low cost alternative to routing NDA calls to the local telephone company. Your customer's satisfaction is ensured by our internal quality assurance and training programs enabling our call center operators to deliver the "best in class" NDA service available today. Our services help you build profit by establishing a low, low per call rate and ensuring that subsequent calls are made via your primary carriers, resulting in the highest possible revenue per call. The most accurate NDA database containing more than 120 million business, residential and government listings. Calls can originate anytime from anywhere from payphones, cellular phones, residential and business lines and other public terminals. Experience immediate financial gain by reducing NDA service charges to a low, fixed, per-call charge. Earn higher revenues due to increased call completions as a result of the pinpoint accuracy of the number given to the caller. Maximize profit by having your NDA customers hang up and dial their requested number through your preferred carriers’ network. Develop repeat customers by delivering the highest levels of customer satisfaction to NDA customers. Immediately leverage your relationships and develop new revenue streams by reselling TTM NDA services to existing and new customers. TTM 1+ services provide you with world-class long distance services at unprecedented rates. Save even more by using TTM's T1 service. TTM Local Service provided tried, tested and proven, local telephone service at considerable savings. TTM National Directory Assistance service is available in conjunction with Talk Too Me Operator Services. The service can be accessed from any location in the domestic United States.